Instead of swallowing vitamin A pills or any other supplement, it is better to eat plenty of carrots. Carrot is like a complete package to our body. Eating carrots will improve our vision especially during the nights. So the eye specialists advice us to eat carrots in abundance. Since it contains Vitamin A in it, it is believed that eating carrots helps in cancer prevention. Further intake of vitamin A helps to overcome the dryness of the skin and prevent premature skin wrinkles. It can be a beautifying agent too. Apply the carrot paste mixed with milk or honey all over the face, and rinse after a while. It acts as a very good face mask. Carrots contains lots of fibers in it so it helps to clean the bowel movement and helps the liver to function properly . 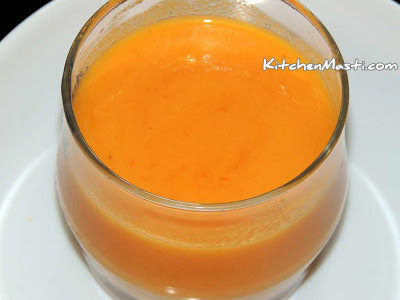 Carrot juice is one of the juice which is liked by many people. Cold carrot juice is very very refreshing one. Those children or adults who fuss over eating carrots can go for this drink. It takes hardly ten minutes to prepare this juice. With the below ingredients, so you ideally prepare around 3 glasses. Wash the carrots thoroughly and scrap the skin of it. Boil the carrots in a pressure cooker till just one whistle or microwave it for around 10 minutes. Leave the carrots to cool for some time. Now take a mixer jar, and add the chopped boiled carrots, sugar, milk, water and run the mixer till it is smoothly blended. Transfer it into a jar. Now your yummy carrot milkshake is ready to be served.!!! If you feel the grounded carrot mixture is too thick, you can dilute it by adding milk. 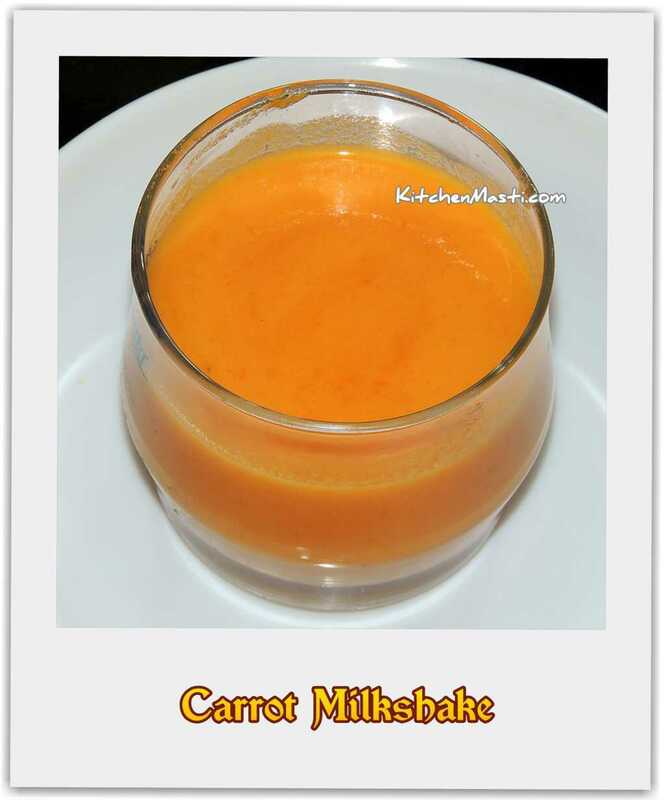 You can prepare the carrot milkshake in another way by grinding only the carrot, sugar and water. Milk can be omitted. While buying carrots see to it that the carrots are usually dark red in color because the darker the color, the more the vitamins.